According to this Washington Post article, the Center for Disease Control has declared sepsis a medical emergency. Why is sepsis now a medical emergency? 72% of patients with sepsis have recently been seen by doctors and nurses. 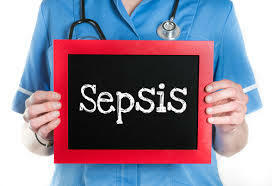 That means, that these doctors and nurses must have had opportunity to diagnose these sepsis cases and did not. Click here for more on misdiagnosis medical malpractice. We've even written about how sepsis is affecting our comunity. Like when a Maryland woman won $2.3 Million in her medical malpractice case because of her sepsis infection, or about septic shock and how it can sometimes be fatal. There is no specific test for sepsis, which is part of the reason hospitals need to have a system in place so that doctors, nurses and healthcare providers get all of the patient's information and symptoms and consider it all in making a diagnosis - before rushing to judgment and missing this serious medical condition. Classic symptoms of sepsis include a body temperature that is too low, high heart rates, high respiratory rate and low white blood cell counts. Who is at a higher risk for sepsis? Anyone with a misdiagnosed or untreated infection is at risk for sepsis. Older people, people with compromised immune systems, like those undergoing chemotherapy, or taking steroids, or someone who has AIDS are also at higher risk for sepsis, as well as those who have been taking immunosuppressant drugs. No matter if you are high risk, your doctors should be able to consider, diagnose and treat this condition. Waiting to institute medical treatment can lead to septic shock and cause serious complications, including the loss of limbs and death. Often, the effects of septic shock require lifetime medical care and treatment. If you believe you or someone you know may have gotten sepsis, or suffered from septic shock in a hospital in DC, MD or VA, call us at 202-393-3320 so we can evaluate your medical treatment and give you the information you need to protect yourself and your family.